This program is mainly designed for students who wish to improve their English speaking ability and pronunciation. Students will learn how to use various language structures in real-life speaking situations. Our instructors give you a wide variety of practical activities that are designed to maximize your oral interaction. 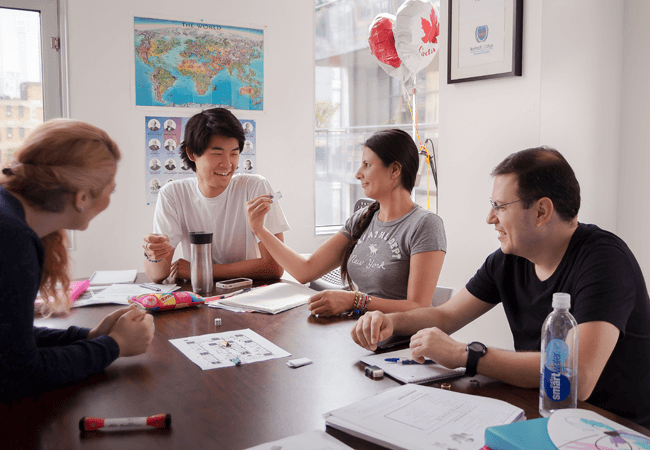 You will experience a variety of real-life situations which are used to generate meaningful communication skills and to increase your fluency in English.